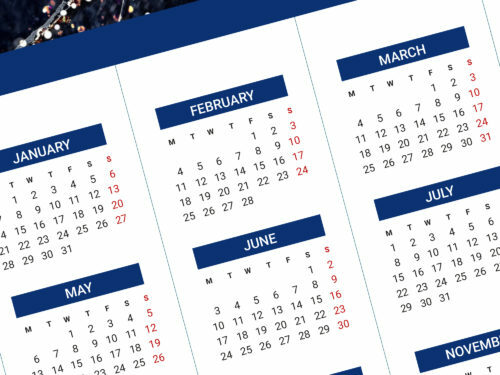 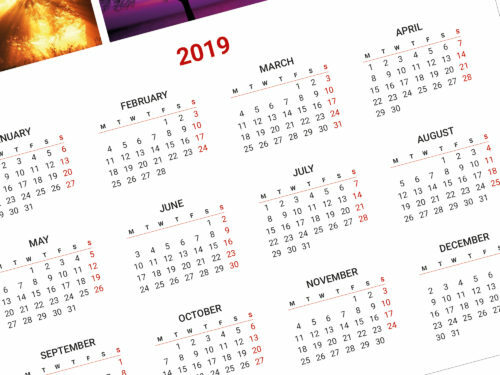 Downloadable calendar template for 2019 year. 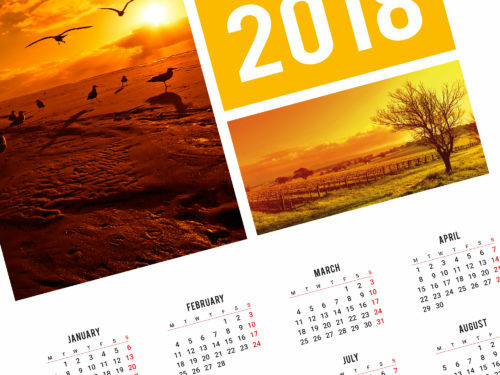 Downloadable poster calendar template for poster calendar for 2019 year. 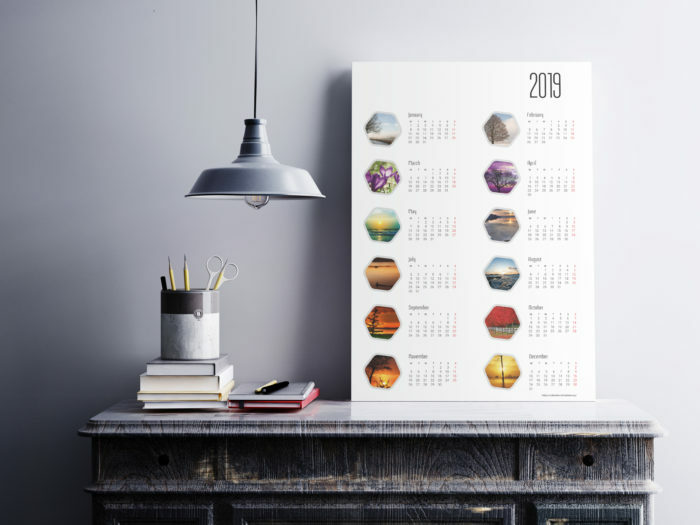 One page printable wall calendar template. 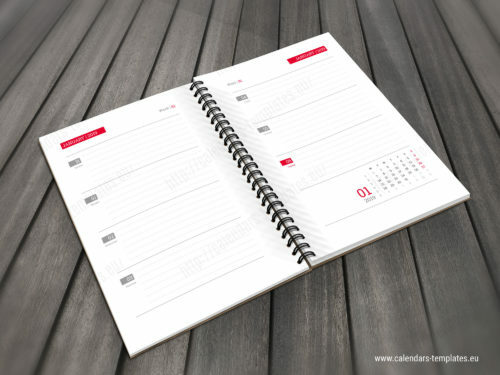 12 months on one page, A0, A1 or A2, weeks starts from monday or sunday. 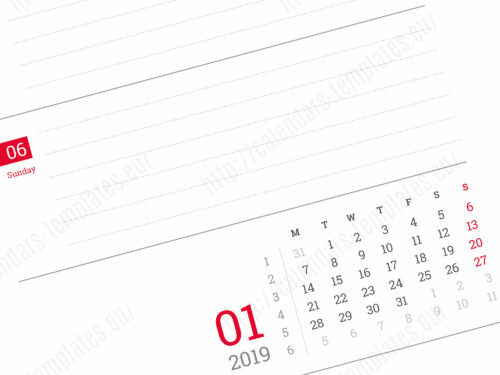 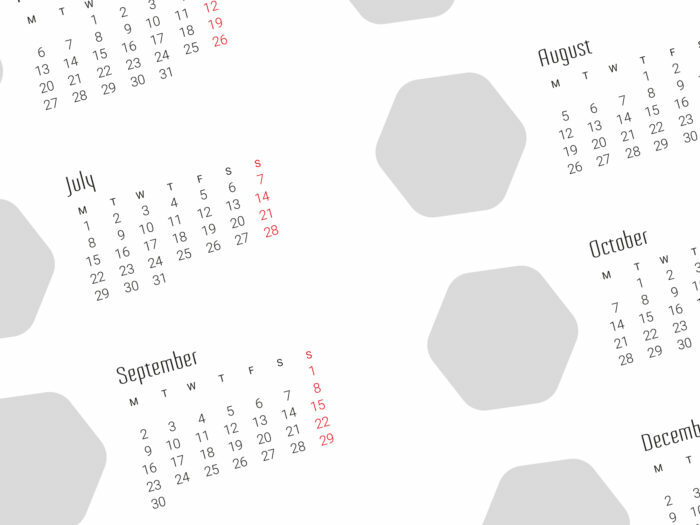 Downloadable calendar template is in popular Pdf format. 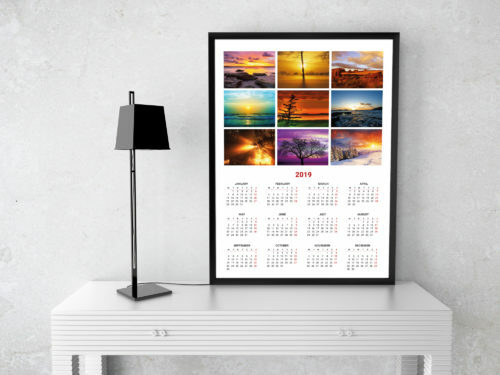 This photo calendar template can be adjusted to another paper size very easily. 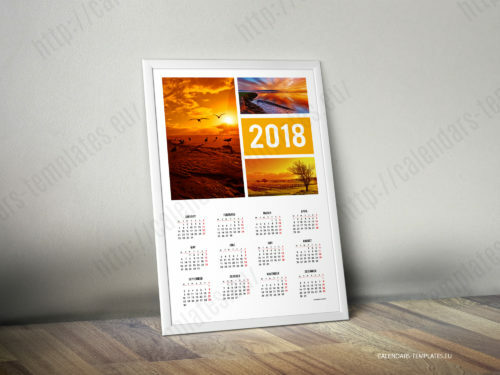 Modern design downloadable calendar template with your logo or logo your client. 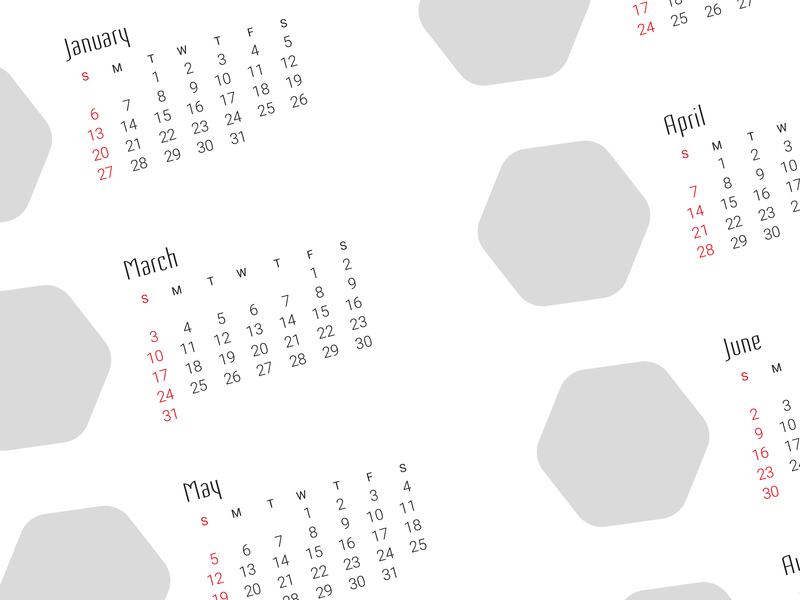 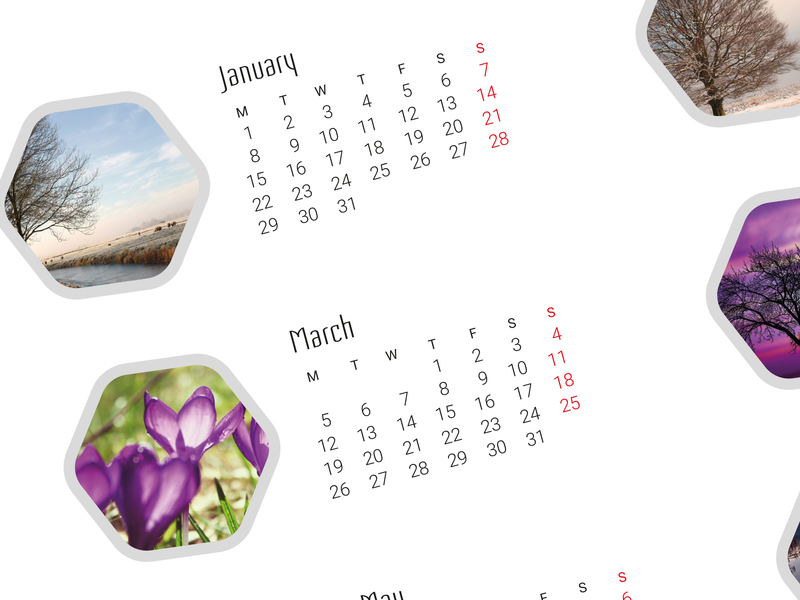 This downloadable calendar template is fully vector graphic. 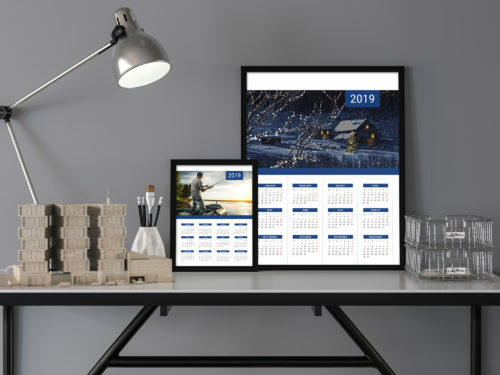 Everything is editable, just add in your own pictures, company or personal details, adjust the colour and you are ready to print.